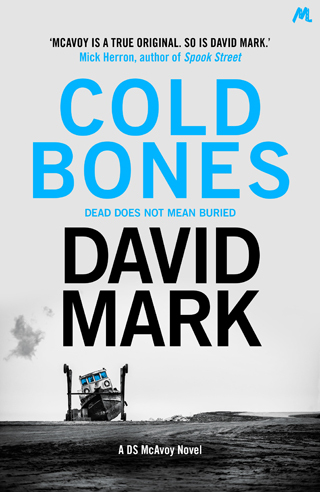 It’s a bit nippy outside and the days are short– never has it been a more apt time to read David Mark’s latest novel, Cold Bones. The eighth book in his masterful DS Aector McAvoy series is set during Hull’s chilliest winter in years, and even if you’re indoors with the central heating on maximum while turning the pages, Mark’s words will still send shivers down the spine. This time, McAvoy finds the body of a pensioner, frozen in a bathtub, having had her fingers broken so she couldn’t climb out. Her name is Enid Chappell, a former social worker who dedicated her life to helping the offspring of the fishing folk of Hull’s legendary Hessle Road. Later, two more corpses are found aboard a trawler they were renovating, and although McAvoy realises the murders are connected, he can’t persuade his superior officer to link the investigations for fear of upsetting a prominent local businessman. Meanwhile, over in Iceland, McAvoy’s mentor, Trish Pharoah, is off-grid, tackling a top secret case with help from the local force after a fatally injured man was discovered – his dying word was “McAvoy”. What unfolds over the next 300 pages or so is an enthralling tale with more twists and red herrings than pretty much any other crime drama I’ve read over the last few years. It manages to weave in the real history of Hessle Road and its fishing heritage with a compelling and believable fictional crime. Okay, so it’s not unheard of for writers to meld facts with fiction, but few pull it off with quite so much style and panache. What’s more, it will probably educate some readers about Hull’s proud fishing past which, although it’s now faded away, still looms large over the city. And isn’t the best way to learn about something through enjoyment rather than by wrote? Cold Bones is McAvoy’s most multi-layered book to date; in fact, I’d say it’s his best. Mark’s first published work, Dark Winter, remains his biggest-seller, and yet his McAvoy series has become increasingly impressive as it’s gone along. If all you’re looking for is a mindless ramble through a by-the-numbers case, then this isn’t for you. However, if evocative atmosphere, enthralling, believable characters and sheer gutsiness is more up your blood-soaked alley, then you really must give this novel a try. Quite simply, it’s full marks for David Mark.